Maple glazed walnut pieces are coated in dark chocolate and dusted with cocoa powder. In my house there’s not a holiday that doesn’t involve a hefty dose of chocolate. If that sounds familiar to you, then you’ve come to the right place today. This time of year is clearly devoted to cookie baking and homemade, buttery, sweet, cookies of every kind abound. December afternoons and weekends are spent filling up cookie tins and bellies alike, but I propose we spare a moment for chocolate. 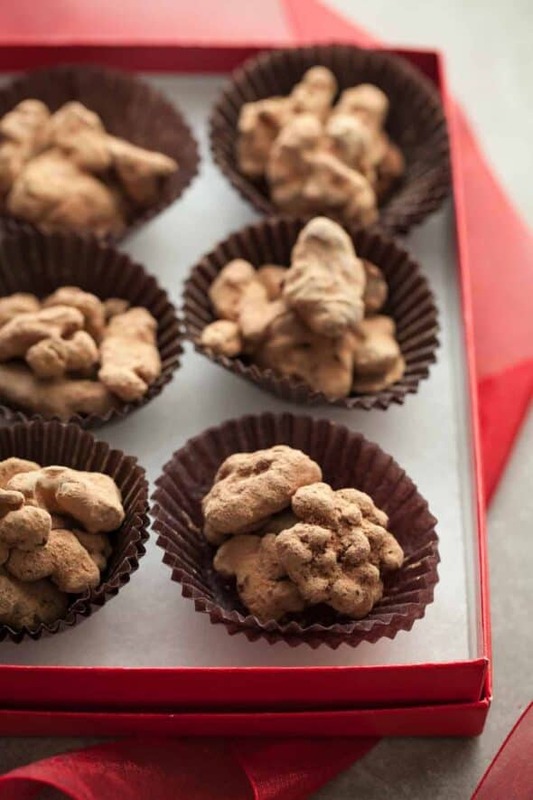 These chocolate walnuts may just steal the spotlight, not to mention that they make pretty terrific gifts or favors. Oh, and did I mention how easy they are to make? I know I say that often around here, but speedy and simple makes me happy. Maple glazed walnut pieces are coated in dark chocolate and dusted with cocoa. Candying walnuts naturally with maple syrup on the stove-top is quick and easy. 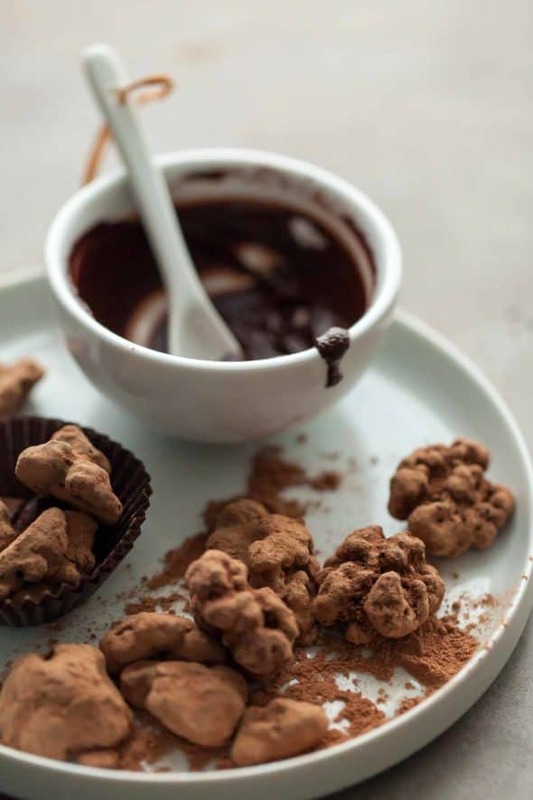 The rich chocolate coating is also entirely sweetened with maple syrup which makes these cocoa truffled walnuts both vegan and paleo friendly as well as refined sugar free. But irresistible is the only word for these. 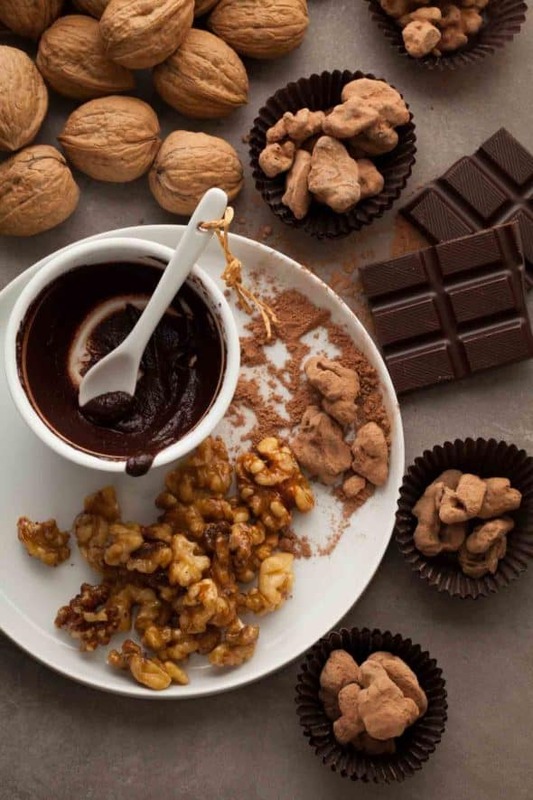 No matter how much you make, they’ll disappear like magic, which doesn’t surprise me because, when you wrap a walnut half in a rich chocolate shell, the results are bound to be good. I know because I consumed them in rather extravagant quantities and can confidently state that just a look in their direction will do you in. And don’t think these truffled walnuts belong only to holidays; they are perfectly compatible with every month of the year. Chocolate and walnuts make a fine match indeed. Maple glazed walnut pieces are coated in dark chocolate and dusted with cocoa. In a medium skillet, combine the walnuts, maple syrup and salt. Cook over medium high heat, stirring constantly, until golden and sticky and the walnuts are completely coated and separated (about 3 to 4 minutes). Pour nuts onto a silpat or parchment lined pan and use a fork to separate them. 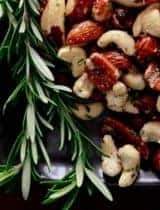 Allow the nuts to cool and harden completely, (about 15 minutes). You can place the nuts in the fridge to firm them faster. 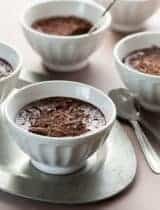 Meanwhile, place chocolate in a medium bowl along with the coconut oil; place bowl over simmering water and stir gently until melted (or alternatively you can melt on medium in the microwave). Add maple syrup to the melted chocolate and stir until fully combined. Transfer the candied maple walnuts to a large bowl, and pour the melted chocolate over the nuts. Stir until thoroughly coated. Transfer onto lined baking pan. Using two forks, separate nuts so none stick together. Return the nuts to the refrigerator until chocolate has just about set, around 10 minutes. Place cocoa powder into a shallow bowl or Ziploc bag. Toss the walnuts in the cocoa until well coated and sift out excess powder in a strainer. 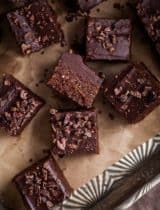 Gluten Free, Grain Free, Vegan, Paleo, Refined Sugar Free *Alternatively you can substitute an equal amount of melted bittersweet chocolate instead of the unsweetened, coconut oil and maple syrup if you prefer to dip the walnuts. What a gorgeous gift for Christmas, especially the way you presented them so beautifully in the last photo. Sounds really tasty!! It would make for a wonderful gift. I'll keep this in mind next time I need a gift idea. They look tempting, not only now during the Christmas season. Wow, truffled walnuts! I would love to receive these as a gift anytime, and I know my friends would love them if I made them. Well, you don't have to convince me... just looking at these and I have no doubt that they're amazing. Perfect for the holidays! I've never seen more gorgeous walnuts in my life, Sylvie! You make them look magical even. I can see this becoming only the biggest addiction ever...so pretty! Totally Brilliant Idea, Sylvie! These are going to my cookie exchange, even though they aren't cookies! Same thing over my house, chocolate during the holidays is a big thing. These walnuts look delicious! Love your creative chocolate creations! I can think of so many nuts which can be used in this recipe. Perfect for sweet snacking too! Beautiful clicks and this is s great treat! What a great gift! So much better than anything store bought. I went through 5 pounds of chocolate yesterday, so I know a thing or two about chocolate! These walnuts sound incredible, love the maple glaze! I would choose the walnuts over cookies any day. I suppose with all the chocolaty goodness, they probably aren't any better for me. 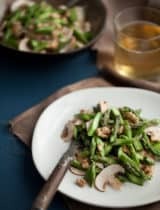 I nosh on walnuts all winter long, and this is a wonderful way to jazz them up as an appetizer. Love this recipe! Thanks for sharing. Sylvie I want to make these for my mom!!! She loves all things walnut! What a cool idea ! And I like how it can be interpreted with different kind of nuts. I love this recipe! You get your chocolate fix without it being too naughty. I'm so making these. 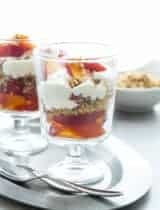 Amazing photos and very delicious recipe. Walnuts and chocolate is perfect combination for dessert. Nice meeting you, Sylvie. I am so making these this week. These are right up my alley and I am afraid I may not be able to share! These nuts look absolutely delicious and such a gorgeous alternative to truffles to serve with coffee at Christmas. Maple and walnut is one of my favourite combinations. Those crunchy walnuts with dusted chocolate looks so inviting. Such an apt snack for the Xmas break. I am going to try this for sure. 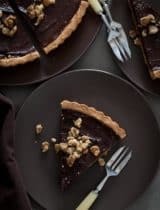 These look soooo good and a great change from the usual glazed nuts...and as far as I am concerned, just about everything is better with chocolate!!! Have added this to the list of dishes I must make! 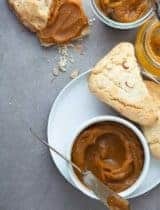 I've been searching for homemade food gift ideas to give to my paleo following friends, and this is SO the perfect fit! I've never seen nuts done this way. It looks like a truffle but with a twist. Love it. This is totally my kind of snack! I love the chocolate + walnut combination... these will be VERY, VEEEEERY dangerous around me. Beautiful photos, Sylvie! now i don't know if these are a good thing. Seems to me I would be in bad shape if I made them at my house- I would eat them all- none for anyone else but ME! BAd shape indeed! LOL! You and me both! I'm afraid I did my fair share of taste testing on these. These look so beautiful! 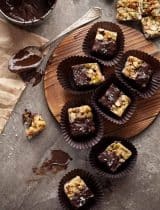 I'm always trying to find new edible gifts to give to my holiday guests, and these look like they fit the bill perfectly! They remind me of the cocoa dusted almonds I always see at Trader Joe's, but are probably infinitely more delicious, as most homemade foods are! Oh Sylvie, these nuts look wonderful. I could eat a whole batch myself, no doubt. Happy holidays! Hello Sylvie, So I'm using your chocolate coating for another item, did a 10% test batch which worked out perfectly. However, I now have 2 coagulated disasters on my hands. Both subsequent full batches were weighed out, bain-marie at the right temp, exact same ingredients. I don't have much experience with chocolate so I'm a little baffled. Have you encountered this? Thanks for posting! Hi Julian, I'm sorry to hear that you are having issues with the chocolate coating I have not had that problem before so I can't say for sure why that would be happening. I'm not sure why it would be seizing up on you but it could be a temperature issue with the maple syrup. Maybe the quantity of maple syrup that is added to the melted chocolate is too great a temperature difference in the larger batch? Perhaps you could try warming up the maple syrup before slowly whisking it in and see if that helps. Additionally, it just takes a drop or two of water to make the chocolate seize up so perhaps some of the steam from the bain marie is getting into your chocolate? Nice recipe! I love walnuts and snack on them often so I must try this! Umm Umm good. Love all the flavors; can't wait to try them. I 'might' have to add a touch of heat; seems chocolate and maple might both work with a smidgen of cayenne. Wish I had some now! Recently, I've fallen in love with some cocoa-dusted almonds - a tiny package costs $10 though - and I can't actually justify buying them. I hadn't seen this recipe on your site, but I'm bookmarking it and making it soon! Where can I find 100% unsweetened chocolate? It's often labeled as baking chocolate and you should be able to find it in the baking aisle at most grocery stores.